Whether you're looking to clean up debris from your lawn or make your own mulch or compost from larger branches or leaves, there's a gas chipper to meet your demands. When you've got large branches and limbs that are around three to four inches in diameter, you'll need some serious chipping power to break them into uniformly sized chips. Gas chippers with no shredding capabilities, which we refer to as chippers only, are designed with heavy flywheels that turn blades with more momentum to chip larger pieces of wood. These chippers are particularly useful when you have a lot of trees on your property that require pruning and cleanup on a regular basis. Because of their ability to handle large branches, they're also the chipper of choice of many landscaping professionals. If you cut down lots of trees for firewood, you can turn the trunks into logs. But what do you do with the branches and leaves you have left? Your best answer is to toss them into a gasoline-powered chipper shredder and make yourself some free mulch. Just don't put the leaves and the branches into the same hopper! In addition to a horizontal chipping chute that can accept branches up to three inches in diameter, gas chipper shredders have a vertical shredder hopper made for leaves and small twigs. The shredder hopper uses gravity to pull leaves down toward the knives. 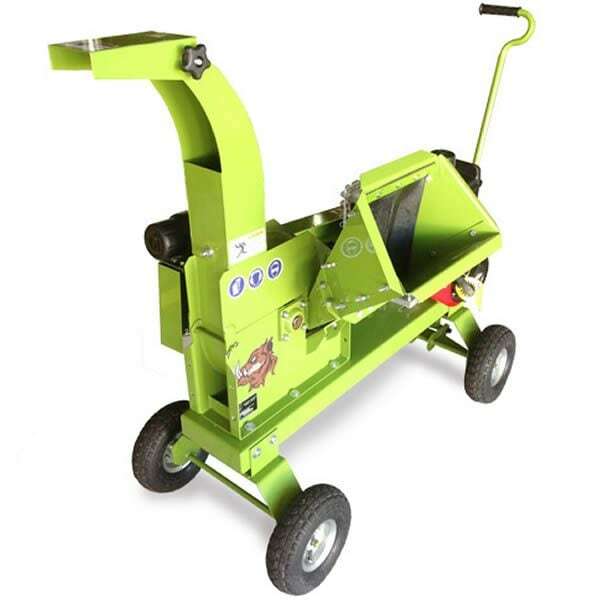 Because chipper shredders can handle so many common lawn care chores, they're a popular option among homeowners. You could use a leaf blower or rake to gather all the leaves on your lawn, then shred or bag them later. 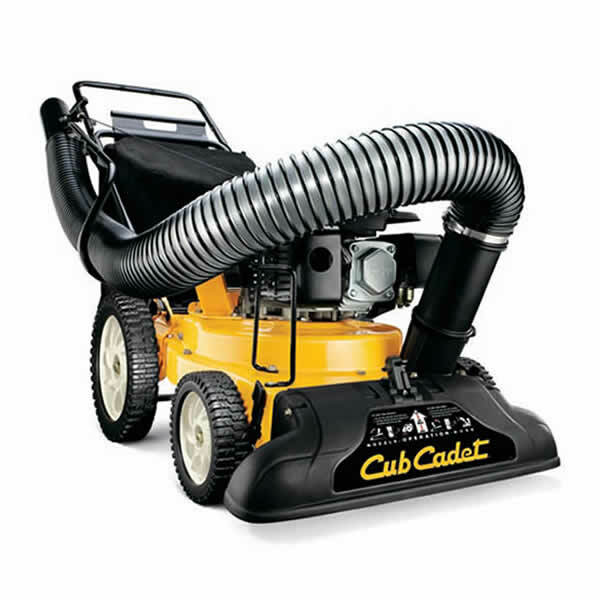 Or you could save time and use a gasoline-powered chipper vac to take care of them in one simple step. Just walk behind one of these machines and pick up all the leaves off your lawn in no time. If you have lots of thick branches, a chipper only or a chipper shredder still is most likely to be what you need. However, if most of your lawn debris consists of small branches and twigs, a gas chipper vacuum will shred them to smithereens. One detail to keep in mind: even though chipper shredder vacuums are amazing for cleaning up leaves and twigs, they don't work well with nuts and acorns due to their smooth surfaces. If your main concern is removing nuts from your lawn, consider using a nut gatherer instead. 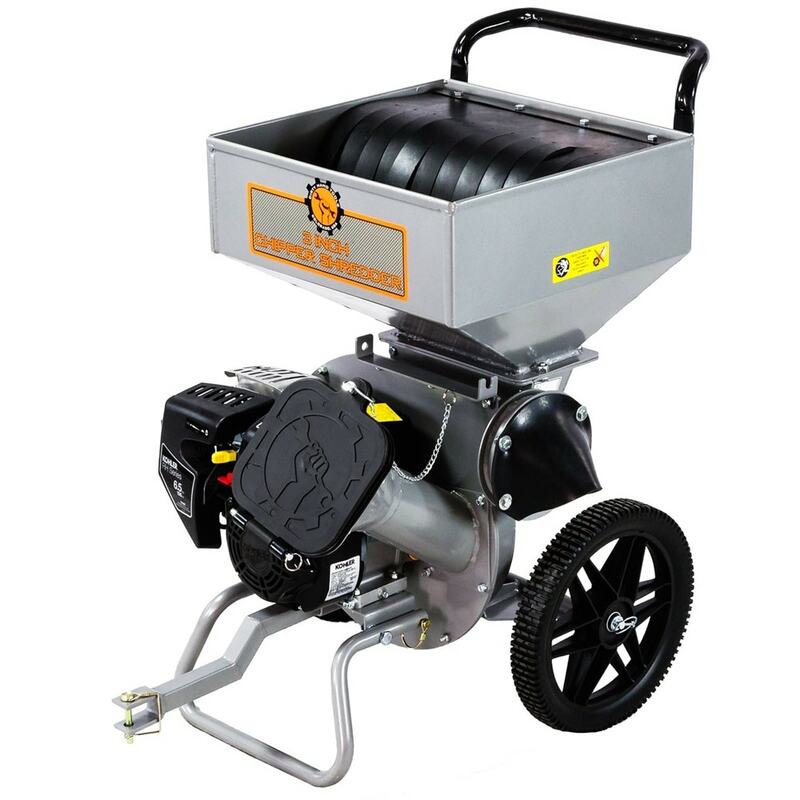 Gas Chipper Buyer's Guide.. Our Power Equipment Direct how-to library can help you learn about A Guide to Power Carts and Wheelbarrows, Proposition 65 Product Labeling and Sales Tax Information.